Whales began their study of migrating animals this week. Each student chose a migrating animal and completed some research at home. 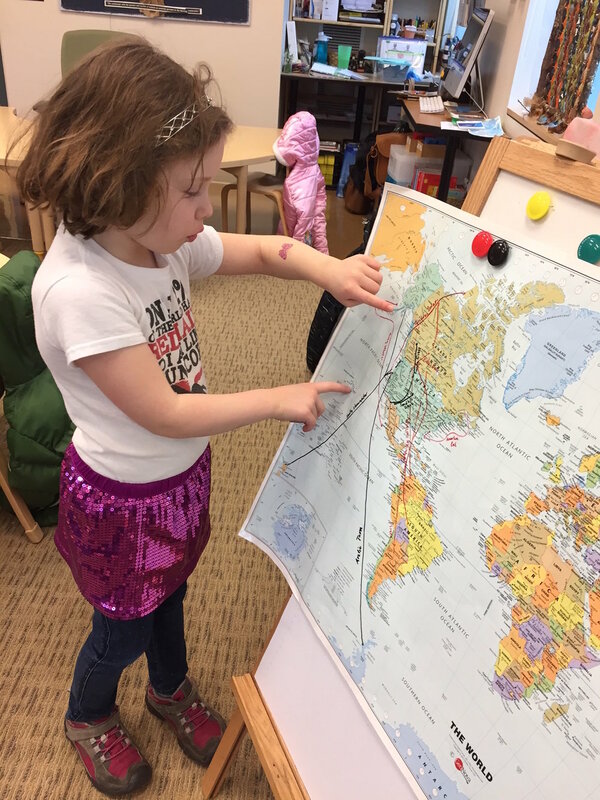 Students looked at their animal's path of migration on a map, and shared any other facts they discovered about breeding, diet, or physical characteristics. 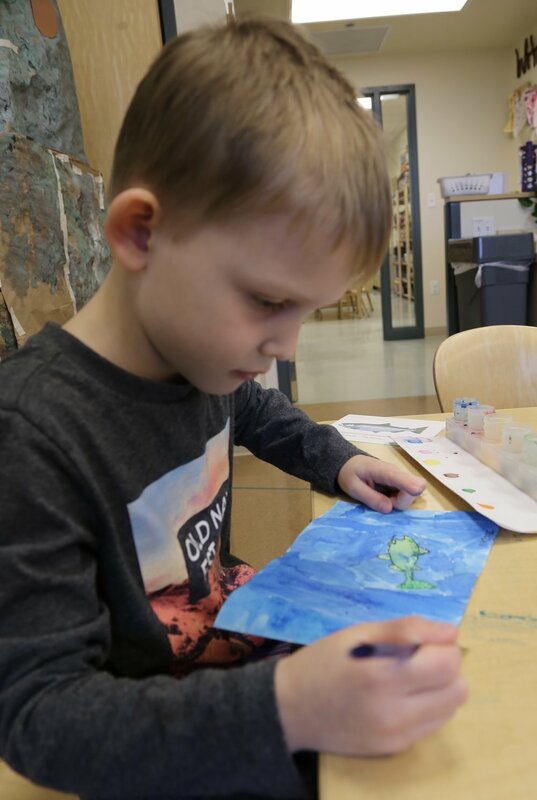 During an "art in" morning, Whales painted their animals, using the skills of a scientific illustrator; paying attention to small details like color size, shape and scale. To begin our study of migration, Whales looked more closely at a bird they are familiar with, the Canada Goose. We noticed the way that geese fly, the sounds they make as they travel, and the direction they fly when the weather gets chilly. Whales went out onto the campus and practiced flying like geese (in a southerly direction) making plenty of noise and honking madly at one another. One Whale remarked that "Hibernation is much easier than migration. I'm tired!" Later in the week Whales shared what they learned about their migrating animals. We listened to the sounds that various migrating birds make, and worked hard to replicate the sound as a class. We compared the sounds of the Humpback and Gray whale, and measured the length of both (50 feet!) discovering that it took 13 ELC Whales to equal the length of one Humpback or Gray whale! During our classroom choice time, Whales played a migration game together, using skills of measurement, counting and literacy. On Friday Whales got to watch a special performance given by the Otters class, all about the life cycle and migration pattern of the Chinook Salmon. It was amazing! The Otters even managed a question and answer period, fielding interesting observations and "wonderings" from the Whales.